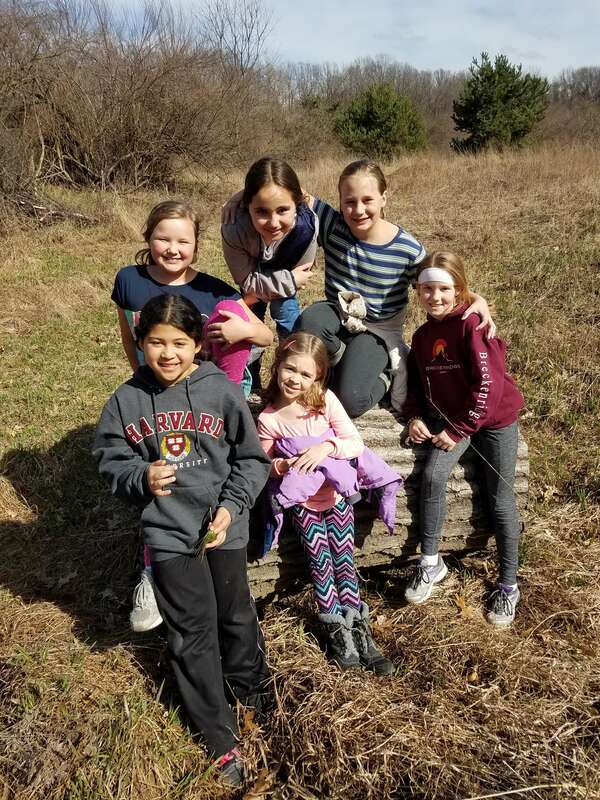 During their most recent meeting, the American Heritage Girls began working on their nature and wildlife badge through study about native animals to Michigan. Yesterday the troop hiked through Everest’s 90 acres and observed animal tracks from deer, turkeys, raccoons, and coyotes. A wild turkey even was seen running from the giggling girls.